I remember the day I moved to Austin. The 1st of February. The early morning flight from Boston. The snowstorm before taking off, the sunshine upon landing. Renting a car and trying to fit in all the belongings to get to the new home. Stopping on the way to switch Timberlands for Converse, because it’s too damn hot. Arriving to the empty apartment that looks like a clean sheet of paper. No character, no memories. Cleaning, unpacking, sitting on the floor because the furniture is yet to arrive in a couple of days. The feeling of being exhausted by the end of the day. Or maybe being hungry? Can’t tell the two apart anymore. 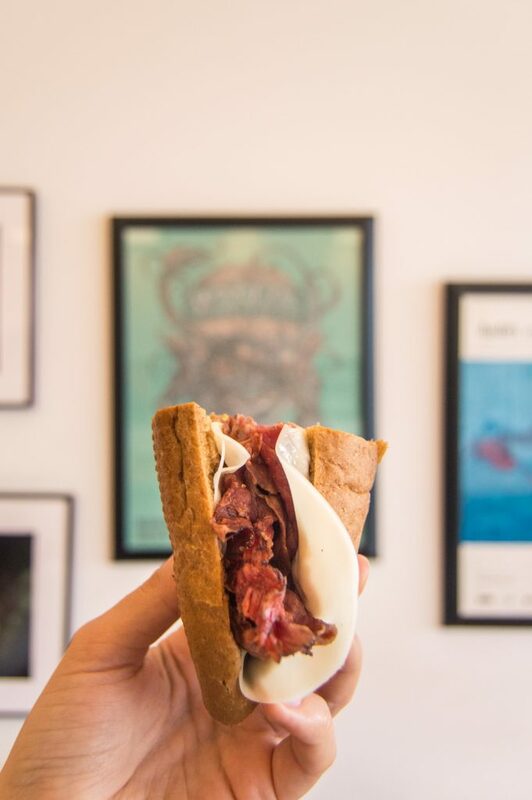 Meatball sub is too messy to make a pretty picture, so here’s a pastrami sub instead! The search for the closest restaurant in the neighborhood. Don’t even care about the reviews. Finally, arriving to Thundercloud Subs just before closing and getting a hot meatball sub. The moment I sink my teeth into the soft bun soaked in marinara sauce I feel such a complete sense of happiness and fulfillment that only happens when you make a big change in life. Exhausted happiness with a side of meatballs. Whenever I come here for a sub, I think of that first day, when Austin was a stranger. Little did I know it will soon be my best friend. Thundercloud subs — check their locations here. Waiting in Line to Franklin BBQ: Is It Worth It?